The signs have been ominous for the past four years. 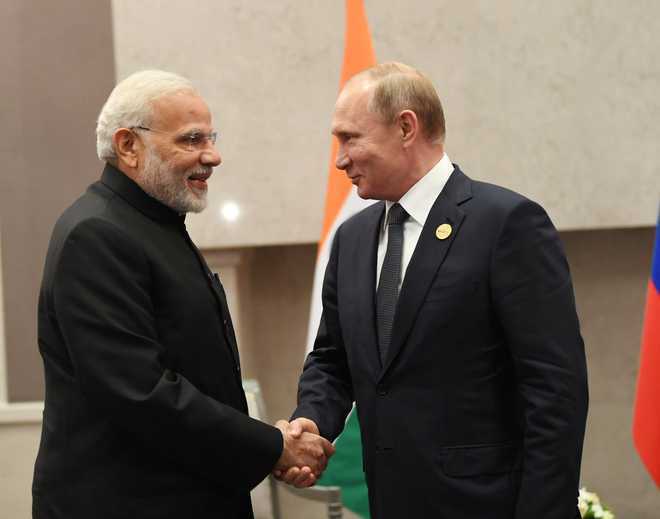 By the time PM Modi arrived at his ‘Barack’ moment, Russia had read South Block’s signals of apathy and inked an agreement on defence cooperation with Pakistan. Meandering through a naval agreement and sale of Mi helicopters, the Russia-Pakistan security relationship has moved well past Cold War hostilities to enter a more intimate phase of training Pakistani troops in Russian institutes. Pakistan may have taken the plunge because the US, its steady pole of security cooperation, is more interested in a settlement in Afghanistan rather than shoring up Pakistan army’s arsenal.But for India’s policy planners this is a moment of reflection. Russia is not just a consistent supplier of cheap and sturdy military equipment. Both sides have taken comfort in the other’s company at times of international distress — India backed Moscow to the hilt on Afghanistan while Russia bailed out India on Kashmir with its vetoes. There was also a healthy dose of self-interest involved: Russia backed India in the 1971 war to pay back Pakistan for arranging a secret summit between Nixon and Mao. For India, Moscow provided a reliable hedge against geopolitical arm-twisting by the West during the Cold War.Indian diplomacy may be on the wrong side of history if it is steering away from Russia. Along with Iran and China, Russia has lately become indispensable in the region. In addition, much is going on with Russia to permit it to drift away. Moscow’s mediation, in fact, can prove useful in bringing together Pakistan and India on Afghanistan, which could lead to the breaking of the Indo-Pak diplomatic ice. PM Modi’s informal meeting in May with Vladimir Putin would have attempted a course correction, reflecting the unease in the Indian establishment over the current state of affairs. Russia is currently in a spot of bother; a helping hand at this juncture is likely to be more than appreciated.